Today Sarah Palin’s doctor declared her to be in perfect health. WASHINGTON — Sarah Palin’s doctor in Alaska says she’s in excellent health with no known health issues that would interfere with her ability to function as vice president if she and Republican John McCain are elected Tuesday. 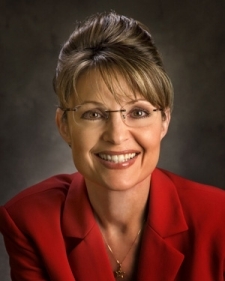 McCain’s campaign released a summary of Palin’s medical history Monday night. Palin’s personal family physician, Dr. Cathy Baldwin-Johnson, says if Palin has only been hospitalized for childbirth. Palin is 44 and has five children. She gave birth to her fifth child, son Trig, earlier this year. Palin had a breast biopsy in 1992 for what turned out to be a benign lesion. Her vital signs, including blood pressure and pulse, have been normal. The doctor also said Palin takes no routine prescription medications and exercises regularly. Click here for the PDF of Palin’s medical report. Also today, in a bizarre appearance in Lee’s Summit, MO. 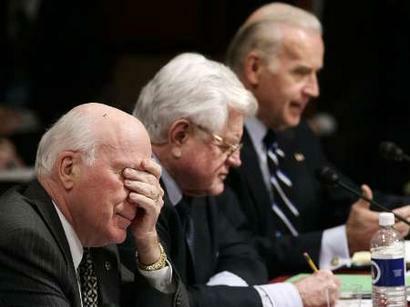 Biden continues to show why he won’t release his medical records. “You know why I think Jill likes Claire McCaskill so well, Senator McCaskill? Jill is one of five sisters, Claire is one of three sisters. And I tell you what, you women raised with sisters are different than women raised with brothers,” Biden said as both women joined him on stage. “And I tell you what? Girl-girls are tougher than girl-boys,” he said. “But there’s one important thing I noticed.The great thing about marrying into a family with five sisters, there’s always one that loves you. ‘Cause you can count on splitting them a bit. You know what I mean? And they say Sarah is not ready for the VP spot……..
Michelle has more on Smirky.